Well, guys and gals, it has been another exciting week full of interesting stories. And, as is now tradition, we have once again hand-picked the most significant ones among them for your reading enjoyment. We start with a story involving Apple and Motorola. Currently, the latter is suing the Cupertino-based company for infringement on patents for synchronization technology. However, should Motorola get the thumbs down, it might be forced to pay Apple up to $16.8 billion. Ouch! Samsung is another company involved in patent violation disputes with Apple. The Korean manufacturer is being accused of infringing on Apple’s scrolling feedback patent – the same one that not long ago, HTC agreed to pay license fee for after being given the opportunity. However, Samsung was given a licensing proposition as well, as it has just recently become apparent, yet turned it down for an undisclosed reason. Speaking of lawsuits, the High Court of Australia ruled this week that Samsung is free to sell its Galaxy Tab 10.1 tablet within the premises of the country. For those who need a reminder, Apple wanted the sales of the tablet to be halted because, you guessed it, the device allegedly infringed on patents that the Cupertino-based company owned. Fortunately for Samsung, the court said that Apple’s case had no merit, which is why the Galaxy Tab 10.1 is now once again on Australian shelves. Okay, enough lawsuits. It is time for a spicy rumor that is starting to look more and more plausible. Speculation has it that Intel is about to start manufacturing smartphone hardware, and that a Sprint-bound Android handset is already in the works. Specs and performance are still a mystery, but a debut is allegedly scheduled for CES2012. If the iPhone is your smartphone of choice, you may be interested in the following study conducted by the guys at Apple Insider. It looks like the iPhone 4S’ performance, its 3G speeds and network coverage in particular, tend to vary significantly from carrier to carrier. Currently, all AT&T, Verizon, and Sprint carry Apple’s smartphone, and if you are wondering which carrier delivers the best experience, check out the study’s results. Which carrier should you use with the Apple iPhone 4S in the States? By the way, now is a good time to remind you that we are hosting the PhoneArena Awards of 2011, and eleven of them have already been given out. However, we still have three more to go, and we have saved the very best for last. In case if you have missed any of our previous posts, their list is below, so feel free to take a peek. Of course, the week brought us a good amount of stories related to the much anticipated Samsung Galaxy Nexus for Verizon. We got to take a look at the smartphone’s retail packaging, carrier launch kits, and even at its user manual. The rumor mill also hinted that December 9 was supposed to be the day of its release, but December 15 now looks like a much more plausible date. The hype revolving around the Samsung Galaxy Nexus builds up not only because it is a blend of cutting-edge hardware and 4G LTE connectivity. What also makes people excited about the smartphone’s launch is that it runs Android Ice Cream Sandwich – the latest (and possibly greatest) version of Google’s mobile platform. Feel free to read our review to see what Ice Cream Sandwich is all about. Something interesting that surfaced on Tuesday is that internet hosting giant Tucows is planning on launching its own wireless carrier – Ting. Subscribers are to expect flexible plans, affordable rates, and no long-term obligations. Besides, Ting customers will have their monthly plan's tier automatically switched based on their usage in order to eliminate overage fees. Sounds pretty cool on paper, doesn’t it? In other news, Google’s Android Market hit its 10 billionth download, and to celebrate the occasion, the company is slashing the price of a number of paid apps down to 10 cents each. The special will run for ten days total, so you still have a few days left to take advantage of it. Google also introduced a brand new app of its own – Google Currents. Apparently, it is meant to mimic the functionality of Flipboard for iOS, which turns your otherwise boring-looking news feeds and social network updates into a personalized magazine, if you will, for a more enjoyable experience. The week also brought a very nice article that is totally worth your time. It takes an in-depth look at the Android platform and the things that cause it to lag on certain occasions. Long story short, it has a lot to do with which processes the operating system prioritizes. Unfortunately, it seems like even future versions of Android will be prone to lagging, unlike iOS, which works in a different manner. Feel free to check it out. You have probably seen those futuristic concepts of bendable phones, haven’t you? Well, they might be nothing but science fiction at this time, but some of the technology required for them to be created exists – flexible OLED displays. Michael G. Helander, a PhD Candidate and Vanier Canada Graduate Scholar, kindly agreed to sit an interview with PhoneArena, and give some inside scoop to our readers about what we can practically expect from the flexible OLED technology, and how long it will take for such mobile displays to become mainstream. Verizon added a pair of Android tablets to its portfolio this week – the Motorola DROID XYBOARD 10.1 and 8.2. Both of them are LTE-enabled and have some pretty potent hardware under their hood. The two are powered by a 1.2GHz dual-core processor backed up by a gig of RAM and have a pair of cameras – a 5MP one on the back, capable of 720p HD video recording, and a 1.3MP front-facing shooter. If you are interested, prices start at $530 for a 10.1-inch DROID XYBOARD with 16 gigs of storage and $430 for its 8.2-inch counterpart with the same amount of storage capacity. 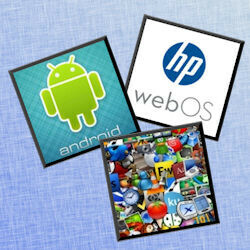 Last but not least, it seems like webOS is not quite ready to kick the bucket. The platform was pronounced open source at the end of the week – a decision that was arrived at during an all-hands meeting held at HP headquarters. The company made a promise to stay actively involved in the new project, although no new hardware using webOS is being planned at this time. Other manufacturers, on the other hand, might be interested. And these, folks, were the stories that stood out from the rest this week. Thanks for reading, and have a great weekend, everyone! The dates for the galaxy nexus read September 9 &15th instead of December.